I used to do a lot of quilling when I was in high school. 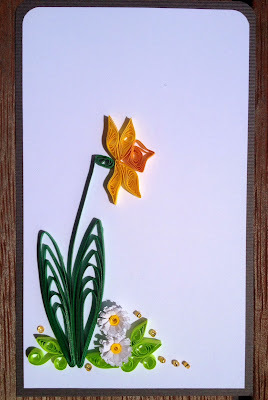 With so many fantastic images on the internet it is very easy to get inspired, and I think I might have caught the quilling bug again!! Here is a card I put together to teach at Create on Ormond.